Fabtech Systems is proud to introduce S.A.F.E. Stuff (Super Adhesive Five Minute Epoxy)-the solution to toxic, smelly acrylic "gunk." Fabtech's proprietary formula is a premixed non-sagging, ultra fast curing epoxy gel delivered by a goof-proof gun applicator. No mixing is required, there is no messy clean up and virtually no smell. 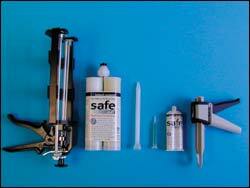 Place a new tip on the applicator gun and squeeze the desired amount you need. It's that simple. Save time and money while using the incredible strength of epoxy. SQ Profab, Inc. is proud to introduce the full line of "One-Piece" Partial Feet. The Pediatric, Adult and Narrow. The unique padding system provides optimal comfort for even the most sensitive patients. No more laces, straps or zippers. We can match any shape, size or color. L-Codes available upon request. "Quality Craftsmanship at a Competitive Price"
The SMART Walker" Orthosis is an advanced gait training device that provides hands-free mobility for the child with cerebral palsy or similar diagnoses who is nonfunctional in a conventional walker. Lower limb control and trunk support are provided through the use of a modular brace system and Piedro footwear. The brace system is suspended in a wheeled mobile base, which provides additional limb guidance and weight bearing adjustability. This device has provided many children with the benefits of upright posture and the opportunity to walk on their own. Spinal Solutions and Orthotic Solutions, your one-stop central fab and orthotic warehouse, is now manufacturing and distributing a complete line of upper and lower extremity fracture bracing. Products available include thumb, wrist-hand, forearm, elbow, humerus, ulna, ankle, AFO, tibia, splints, KAFO, and HKAFO. Each product has been clinically tested. Each product comes with our "Best Price Guarantee." Our catalog is free and comes with a coupon good towards your first order. Horton Technology Inc announces the Ankle Activator. The Ankle Activator consists of a small adapter kit that connects the control rods of the Stance - Control Knee" to the posterior channel of a Becker Double Action Ankle Joint. The standard Becker spring provides a dorsiflexion assist; two degrees of motion are sufficient to trigger the Stance - Control Knee" joints. This should be one of the simplest methods to control the joints. 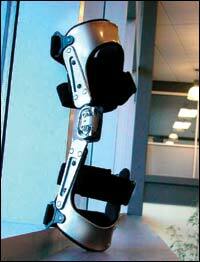 The Ankle Activator can be used on an all-metal KAFO, or with a UCBL-style KAFO. To see the Ankle Activator, please visit Horton Technology Inc. at Booth #13 at the Academy meeting in San Diego, CA, March 19-22. New Options, Inc. offers a complete line of Adult and Pediatric Suspension Sleeves in both nylon one-sided and nylon two-sided material, with a material thickness of 1/8". New Options also offers 3 different color choices: tan, black and brown. Adult sizes from XS3XL; Pediatric sizes from XS2XL. Custom sizes available upon request. A new Ebony footshell is available from SPS as a custom order for Freedom Series" prosthetic foot wearers with darker skin tones. FS2000-a lower profile foot for long BK applications or configuration options demanding more clearance. 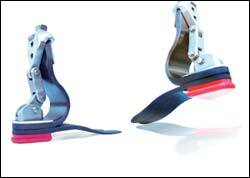 FS3000-for low to moderately active amputees with longer residual limbs. Included are a 36-month warranty, a "no questions" return policy, and 60-day trial period. The Calibrated Alignment System from V-Tech Systems provides the tools necessary to easily and accurately assess alignment geometry. It can be used at any stage from prefab to post-delivery, providing an exceptional means of measuring component placement in a setup. This gives a recordable number for the position of individual components and their relationship to the overall alignment. Components can be set to measurements and monitored as connections are made. Calibrated adjustments can be made to components with unparalleled accuracy. Easily verifiable changes to an alignment geometry can be planned, executed, and recorded. This provides uncompromising results for fabrication, alignment, and diagnostics. The HXT" from Allsport Dynamics is a patent-pending custom wrist orthosis that has been shown to be effective in helping with the rehabilitation of the wrist from injury or surgery. It is primarily designed to help protect the wrist from hyperextension. The compulsion for innovation continually drives College Park to advance technology and performance. Meet the Venture: a paragon of precise engineering that generates performance to suit your dynamic lifestyle without sacrificing comfort. It's the ultimate fusion of power and agility. 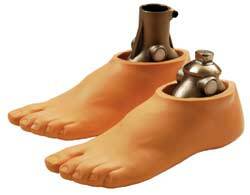 Why change your prosthetic foot every time you change your shoes? You need a foot that transitions with you&from the gym to the office or the trail to the pavement. The solution is finally here for the demanding lifestyle. Life is a venture-live it. The College Park TruPer® Foot is the first and only multiaxial, dynamic response foot made just for kids! Finally, prosthetists have the opportunity to offer their young, active patients a foot that can truly accommodate their energetic lifestyles. The TruPer Foot addresses the most common concerns about children's prosthetic feet. 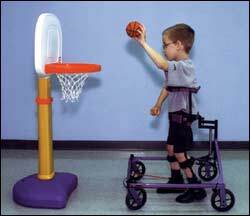 It accommodates for growth, is simple to mount, and is customizable to meet the needs of the individual amputee. Contact College Park today for a 30-day free trial! The College Park TruStep® Foot offers an anatomical, multiaxial design with polycentric motion. The TruStep responds to ground reaction forces much like a natural foot does, providing the user freedom of motion in all three anatomical planes. This results in a more symmetrical gait and a reduction in energy expenditure for the user. Up to a three-year warranty. UCO International introduces the 3FormTM, a triple-layer, flat, full-length insole that is heated and molded without having to measure, using cut-and-glue materials. 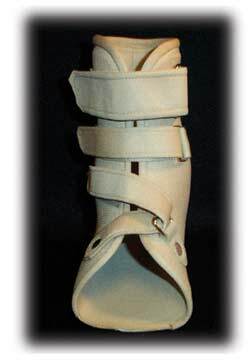 Constructed of two layers of reinforced thermoplastic resin and covered by a urethane top layer, the 3Form allows the practitioner to fabricate the orthosis by heating, vacuum-forming, and trimming. An additional top layer or posting can also be added. 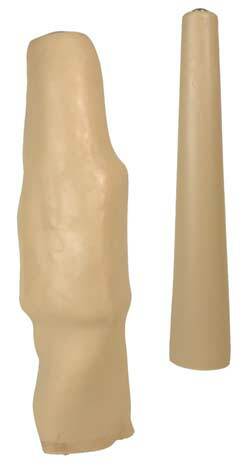 It is available in five sizes for easy matching to each patient's cast. The 3Form works well for patients needing additional support or comfort. For best results, the insole is heated in a convection oven at 230°F for two-three minutes, formed over a plaster cast, and trimmed to fit in the patient's shoe. 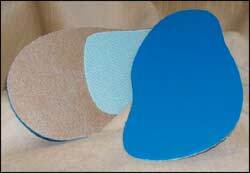 By using the 3Form, fabrication time of a pair of orthoses can be reduced by 15-20 minutes. Available in five double metric sizes, the 3Form will fit most shoe sizes and widths. It is $15.95 a pair or $13.95 a pair for quantities of 25 or more. Elation features a foot blade made from 100 percent carbon fiber. Its precision-engineered contour makes it flexible as well as energy-efficient, ensuring a smooth rollover. The foot adjusts automatically to the load applied. The greater the load, the more the foot blade compresses against the rocker plate. 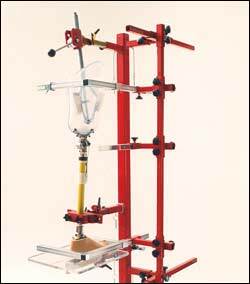 This shortens the foot lever arm proportionally, providing the appropriate stiffness. Orthofeet introduces stylish stretchable shoes designed for patients who need extra protection, but do not want to compromise on styling. The shoes' unique design combines suede leather and spandex, which is both elastic and breathable. The shoes stretch to conform to the contours of the foot, accommodating deformities, such as bunions and hammer toes, and eliminating pressure on diabetic feet with lesions, poor circulation, and edema. Additional comfort features include an anatomical last, featuring added depth and width across the midfoot and forefoot; ergonomic outsole construction, designed to reduce dorsiflexion stresses at the forefoot and facilitate ambulation; seamless lining; and a moldable, high-quality diabetic orthotic (Medicare approved for code A5509). Shoe cost is $39 a pair; orthotic cost is $9 a pair. Hosmer Dorrance Corporation has released its latest pediatric terminal device, the CAPP Hand. Using the same internal spring-loaded voluntary-opening mechanism, popular in the original CAPP Terminal Device developed by the Child Amputee Prosthetic Program in southern California, Hosmer has added an integrated urethane body. This pliable, yet tough exterior preserves function and durability, while adding a much more cosmetic appearance. The elimination of a glove and the use of a low-friction nylon cord ensures smooth and easy use. 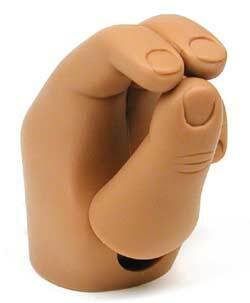 Available in three different shades and three different springs to adjust grip force, the CAPP Hand has a replaceable thumb section for wear and can be customized for the individual patient. Try it on your next pediatric patient that requires low-cost, cosmesis, and rugged function in one package. After becoming part of the Fillauer family, Centri of Sweden announces the expansion of the Quality Liners product line. Recognizing that patients have their own unique limb shape, Centri has specifically designed a liner for thermoforming to the individual's shape. Other liners claim this benefit, but their reinforcing matrix and fabric covers prevent the liner from truly forming to the limb geometry. The Centri liner is simply applied to the positive mold and placed in the oven at 180º and left to form for 15-45 minutes. After cooling, the liner takes on the patient's specific shape. The Centri Quality Liner is available in a locking or cushion version, 3mm uniform or 6mm tapered thickness, beige or transparent coloring. Each liner has a compatible liner dummy, which may be used as a spacer when making the interface to prevent the liner from being damaged during fabrication. The Centri Thermoforming Liners are available at Fillauer, Inc., Hosmer Dorrance, and Centri of Sweden. Seattle Systems unveiled its new lightweight knee brace designed to treat osteoarthritis at the American Academy of Orthopaedic Surgeons (AAOS) February 5-9 in New Orleans, Louisiana. The Seattle Systems Cruiser" Brace provides corrective force, and thus pain relief, when weight-bearing, but relaxes when the patient flexes the knee, thus providing even more comfort. Made with a strong fiberglass composite shell, the Seattle Systems Cruiser Brace comes cushioned by the high-quality Seattle Systems standard liner. The innovative hinge design provides 20 degrees of valgus/varus alignment adjustability (10 degrees in either direction). Custom models are thermoformed to the patient's leg, using the latest CAD/CAM technology and are available in 15 vibrant colors. Off-the-shelf models come in an attractive pewter metallic color. 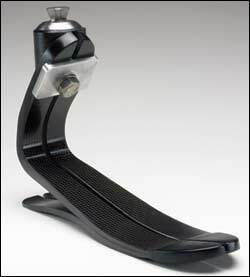 Seattle Systems Inc. has released another innovative prosthetic foot: the Cadence HP". Designed for every activity level and lifestyle, the Cadence HP has a patented C-shape construction that makes it the only foot on the market without the undesirable "flat spot." Functioning more like a biological foot, the Cadence HP offers amputees a smooth stroll from heel to toe and is ideal for hiking and walking on uneven terrain. Unlike competitor designs, the Cadence HP does not have an awkward upward propulsion. The design also avoids that pesky "slap" feature, in which the toe comes down too quickly after the amputee steps on the heel. Knit-Rite announces its new X-Wool Prosthetic Sock with X-STATIC, the silver fiber. The X-Wool Sock features a high-performance fiber system made with pure silver. Silver is naturally antimicrobial, enabling X-STATIC to safely inhibit the growth of odor-causing bacteria. Silver also has the best possible thermodynamic properties, so your patient stays cooler in summer and warmer in winter. X-STATIC on the inside of the sock accelerates the movement of moisture away from the body through evaporation. 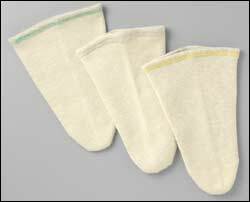 The absorbent virgin wool is thick and cushioning. Lycra allows the sock to contour without stretching out and also accommodates flexion. These new socks are fleeced to add softness, resist shrinkage, and are easily cared for. Thickness color coding is: 3-ply yellow, 5-ply green, 6-ply gray.